In Real Estate, statistics are examined monthly, yearly, even daily, in order to determine overall trends and general health of the Real Estate Market. For those of you who know me, I rely a great deal on numbers and statistical data to do my job. 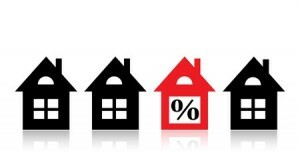 Numbers are an objective measure to help determine a house’s value, and numbers don’t lie! 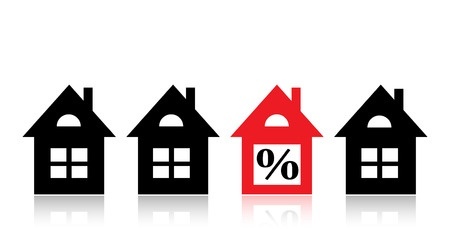 Whether you are purchasing a home or selling one, it is important to understand the role the data play in determining the relative value of a home and in determining how many properties may be directly competing with that home as well. One way to determine this is to calculate the Absorption Rate in a given market. Simply put, it is an indicator that demonstrates the Supply and Demand in the marketplace. It is the number of months of inventory on the market, and the length of time it could take to sell the current inventory, based on a specific set of parameters, such as house style, age, size and location. You all heard that Supply and Demand affects price. Supply and Demand are variables that we can do nothing about as consumers – they fluctuate up and down depending on the current market. The variable we can control, however, is price. That is why setting the right price is CRUCIAL to achieving good results when selling. Conversely, overpricing will hurt a seller’s overall objective – to sell for the most money possible. First, establish the specific parameters for the market you wish to examine, such as a particular neighborhood, house style and size. Second, find the total number of sales for the past year. Third, take this number and divide by 12 to calculate the total number of sales per month. Next, take the CURRENT number of homes available (not sold and within the same parameters) and divide this number by the average number sold per month. This final number will give you the Absorption Rate in months. If you get a number that is, say 4.6 months, that is generally considered a Balanced market, where Supply and Demand are basically “even” and do not favor either the Buyer or Seller. If you get a result in the 3’s or lower, that means we are in a Seller’s market, as there are less months of inventory to choose from. Properties tend to spend less time on market, and there may be a greater likelihood of multiple offers, as buyers are competing over fewer properties. If these conditions persist over a period of time, it may also result in a higher average sale price as well. If the number that you come up with is 7 or higher, it is safer to say you are in Buyer’s market. Properties take longer to sell and may sell for less money if these conditions continue over a period of several months. It is critical to price a property accordingly or it will sit on the market and depreciate over time, becoming less valuable to the Buyer. If you would like to know the Absorption Rate for your area, I would be happy to help! Contact me, and I will pull the data for your area, help you determine what kind of market you are in, and advise accordingly!